Фотобанк РОСФОТО - микросток. 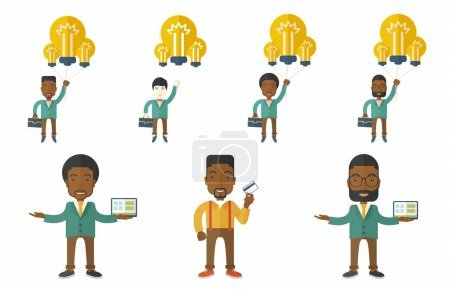 Лицензионные Фото, Видео, Музыка - Vector set of illustrations with business people. XL 5833 x 3750px 15 Mb. Successful businessman flying with balloons made of idea light bulbs. Businessman having creative business idea. Concept of business idea. Set of vector illustrations isolated on white background.